Black jade is a stunning stone that's long been associated with creativity. Channel your inner muse with one of these striking pieces in your jewelry collection. 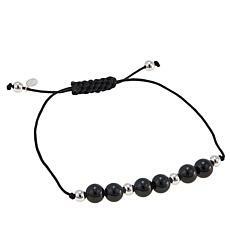 A black jade bracelet is a versatile choice that can easily become your go-to piece of jewelry for casual weekend wear, evenings on the town, and everything in between. 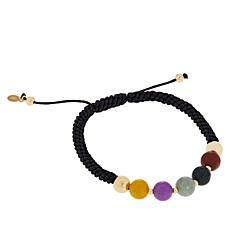 You'll find that our collection at HSN includes a variety of black jade bracelets that can suit nearly any personal style. 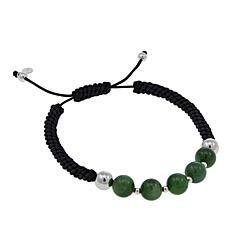 For a simple classic look, try a macrame bracelet. These feature black jade as well as other types of jade so you can get a monochromatic look or make things more interesting with a variety of colors. 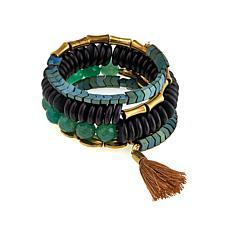 If you're looking for something more dramatic, try a coiled black jade bracelet. This offers a heavier appearance that's great for making a statement. This stone can complement your taste no matter what overall style you're channeling. 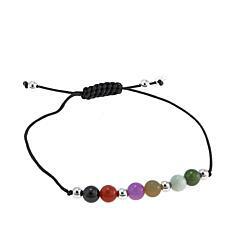 Pair your black jade bracelet with other items from our collection, such as pendant gemstone necklaces or drop earrings. If you want to keep the focus on your hands, consider a coordinating ring. The options are nearly endless when you're shopping the wide range of jewelry available from HSN.